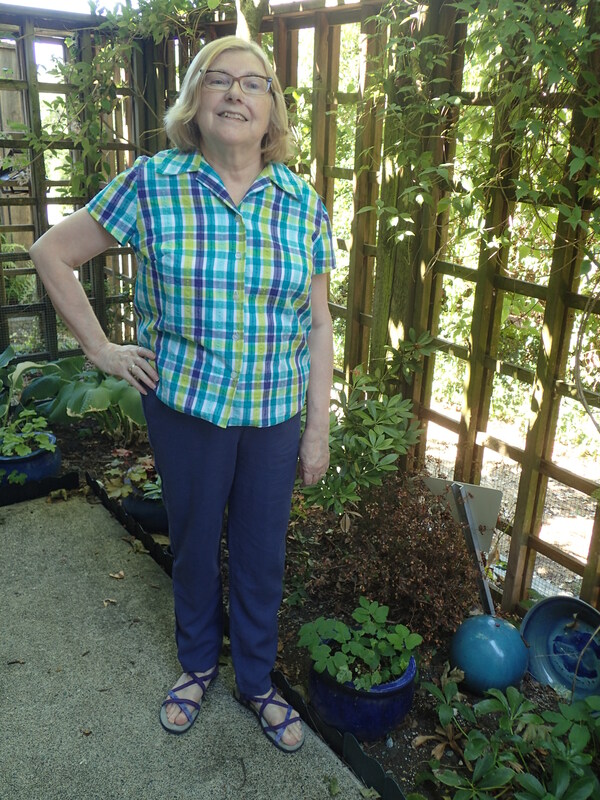 I love wearing cotton blouses in the summer and I wanted a better fit this year. 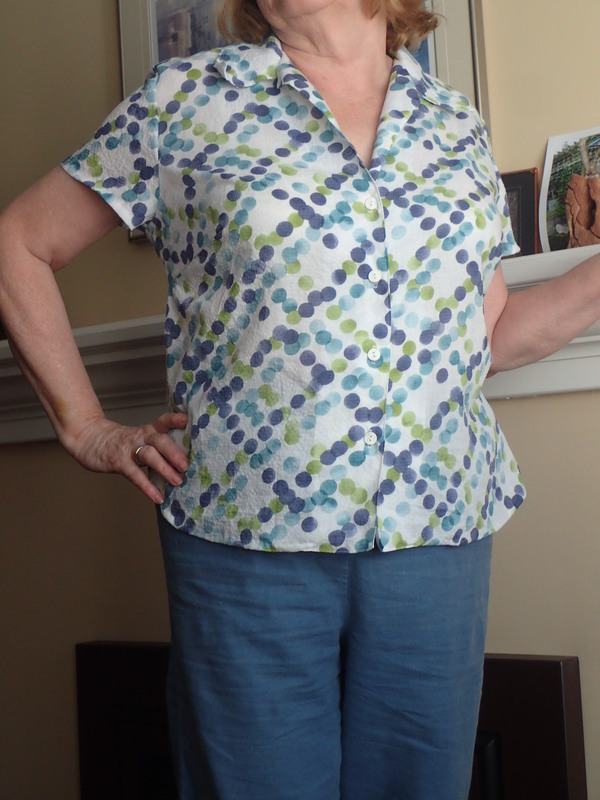 So I selected Butterick 6085, short sleeves, button front, simple collar and shirt tails. I adjusted for a full bust and left out the vertical darts. Really did a horrible match except down the front, recycled old buttons. I have two shoe boxes full of buttons, so lots of variety but still I have my favorites and some of my shirt buttons have seen many blouses. I bought my plaid from Fabricland, loved it because it went with all my new pants. I love wearing it, but the sleeves are a little tight. The second blouse I added a couple of slashes to my sleeve pattern. 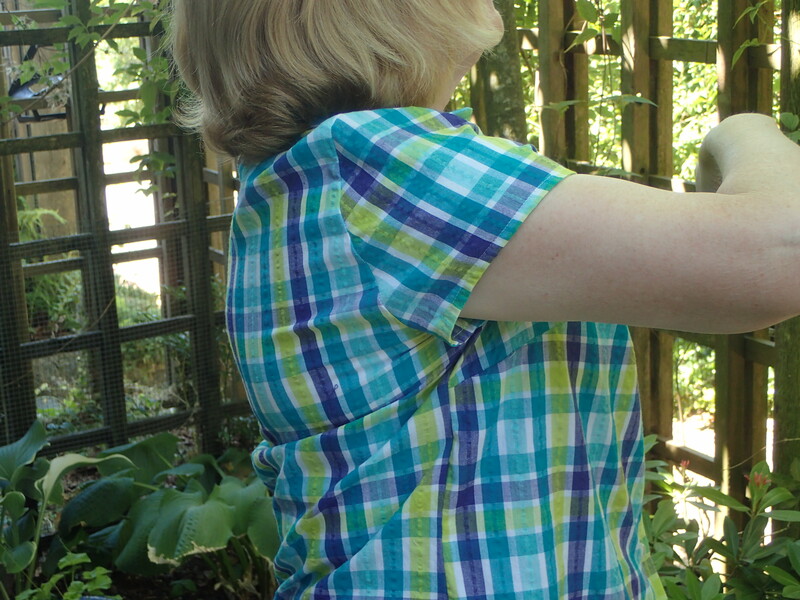 The dotty cotton in the same colours as the plaid, so really 2 blouses, with 3 pants in dark blue, lighter blue and green. So 5 pieces i my six pack.